Celebrating the life of Alvester Sheffield, Jr.
Be the first to share your favorite memory, photo or story of Alvester. This memorial page is dedicated for family, friends and future generations to celebrate the life of their loved one. Obituary for Alvester Sheffield, Jr.
Alvester Sheffield, Jr. was born in Atlanta, GA at the Grady Hospital on Friday, January 26, 1945 to both the late Marion Ridgeway Sheffield and Alvester Sheffield, Sr. On Sunday, January 27, 2019 he departed this earthly life quietly and peacefully at the Doctors Hospital in Augusta, GA.
Al, as Alvester, Jr. was affectionately called by family and friends, was the oldest child of two children born to his parents. At an early age, he joined the Bethlehem Baptist Church of Atlanta, GA located in the Summerhill neighborhood. 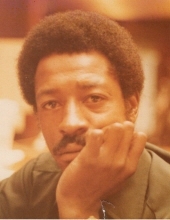 Al received his education by attending the Fulton County School System of Georgia. During his employment years, Al spent much dedicated time at the Pollard Funeral Home in Atlanta, GA while working there in the 1960’s. He also worked for the Southern Christian Leadership Conference (SCLC), which is an African-American civil rights organization. SCLC, which is closely associated with its first president, Martin Luther King Jr., had a large role in the American civil rights movement. In 1968 during the Civil Rights Movement, Al was a chauffeur for Dr. Ralph David Abernathy, Sr. Lastly, he was gainfully employed with CSX Transportation which is a Class 1 railroad operation system located in the United States and Canada. Al worked there until he retired. As we live from day to day on this earthly plane, it’s not what’s in our daily plans that matters the most…it is what matters to our Lord of hosts. As we remember our dear loved-one, we shall keep his memory alive by loving him in death as much as we loved him in life. He is preceded in death by his wife, Joyce Jackson Sheffield and his sister, Patricia Diane Jones. Left to always cherish his memories: two daughters, Monica Lynn Sheffield of Atlanta, GA and Felicia Johnson of Warrenton, GA; one son, Alvester Sheffield, III of Hinesville, GA; four grandchildren, Kyia Lynn Sheffield, Sean Gerard Pearson III, both of Atlanta, GA, Abriyah Jackson and TyQuez Few, both of Warrenton, GA; one great-granddaughter, AuBree’ Menchaca of Warrenton, GA; a host of nieces, nephews, cousins, other relatives and caring friends. To send flowers or a remembrance gift to the family of Alvester Sheffield, Jr., please visit our Tribute Store. "Email Address" would like to share the life celebration of Alvester Sheffield, Jr.. Click on the "link" to go to share a favorite memory or leave a condolence message for the family.